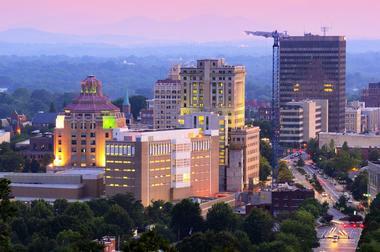 Let the seasons guide your vacation in North Carolina. Spring is an appealing time to hike the Appalachian Trail or bike at Rocky Knob Mountain Bike Park. North Carolina's coast boasts more than 300 miles of barrier island beaches, romantic lighthouses, idyllic small towns, and national seashores. 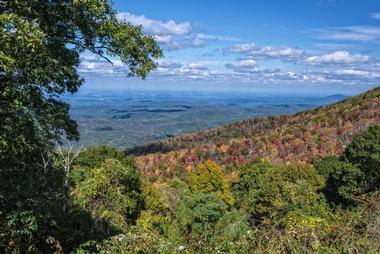 Fall lures travelers to the spectacular colors along the Blue Ridge Parkway. 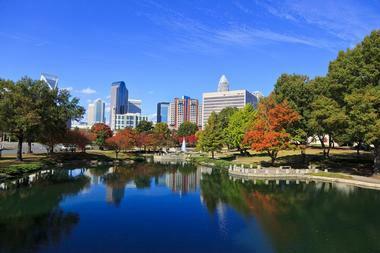 Cities like Raleigh, Durham, Winston-Salem, and Charlotte are some of the best places to go in North Carolina for city explorers. Great Smoky Mountains National Park is the country’s most visited National Park and one of the best places to visit in North Carolina. 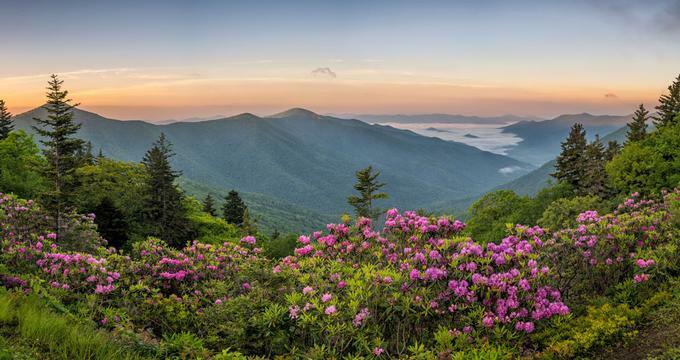 It is renowned the world over for its variety of animal and plant life, its stunning ancient mountains, and visible remnants of Southern Appalachian mountain culture. In Cades Cove, visitors will partake in viewing wildlife, seeing gorgeous mountain scenery, and exploring historic homes and churches. There are wildflowers galore – from early hepaticas in late winter to the asters in late fall. 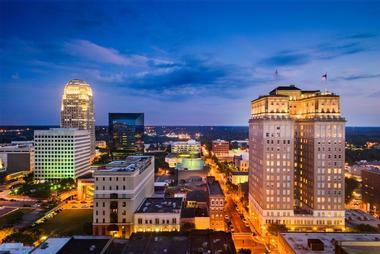 Whether visitors seek a weekend getaway or a stop on an extended tour of North Carolina, Elizabeth City is ideal. Its six historic districts bring to mind the time of Blackbeard, when trains were still a prominent form of travel, and the Wright brothers stopped for goods as they were passing through. Situated on the Pasquotank River, the city was incorporated in 1793. 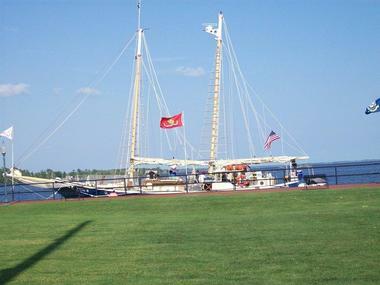 Its current “Harbor of Hospitality” is an inviting waterfront location with everything a tourist could want. A comprehensive list of galleries, theatre performances, and museums can all be found on the community’s website. The uniqueness of the Blue Ridge Parkway is evident, offering a slow-paced drive revealing gorgeous vistas and up-close views of the Appalachian Highlands. This special road is one of the top places to visit in NC and winds for 469 miles, protecting animals and plants, and special attractions. On the website, visitors can find basic information about weather, operating hours, road status, reservations, and permits. Learn about the nature you will encounter on the drive and plan to join rangers for tidbits about the history and nature along the Parkway. 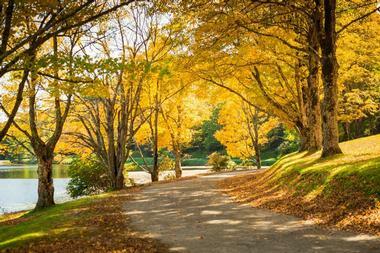 There are more than 300 miles of trails along the Parkway, plus popular destinations. There are also concerts and music to be enjoyed along the journey. 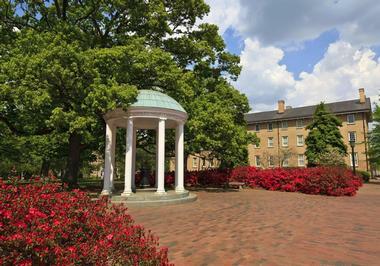 Davidson is a small college town – home to Davidson College – committed to providing residents with a high quality of life. The town is pedestrian and bicycle-friendly. Its walking trails and greenways connect neighborhoods, giving residents alternate ways to buzz around town and access nature. In fact, the town believes heartily in open space, and in the last decade, Davidson has acquired almost 600 acres of preserved land. 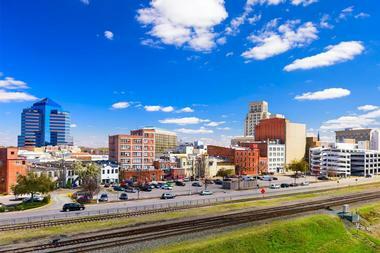 There’s a thriving business district, a range of community events, and a historic downtown. In 2013, the town won the "Great Main Street" Award from the North Carolina Chapter of the American Planning Association. At the Cape Hatteras National Seashore, visitors will find that the landscape has been shaped by wind, water, and storms, and the islands are constantly changing. 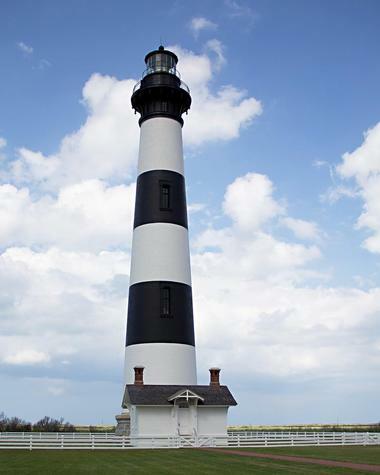 Visitors may kayak the sound, enjoy the beach or climb the Cape Hatteras Lighthouse to see the area’s significant highlights. Each summer, birds and sea turtles find local beaches, and off-road vehicle use is most definitely allowed in certain areas. There are four campgrounds located across Cape Hatteras National Seashore which offer a unique experience of the barrier islands. 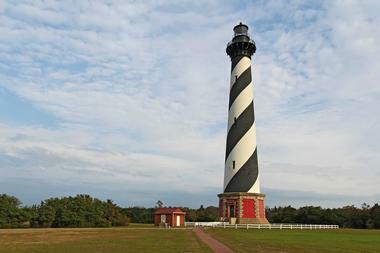 A boat ride just off-shore brings visitors to the Cape Lookout National Seashore. Consult the ferry schedule, which is available on the website, and get ready for horse watching, fishing, shelling, birding, lighthouse climbing, camping, and touring historic villages. 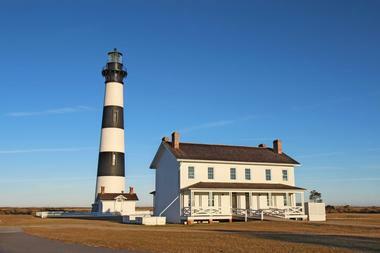 First, visitors may want to climb the Cape Lookout Lighthouse. Then there’s nighttime at the cape, where visitors are encouraged to bring their flashlights to experience the Cape Lookout Lighthouse and its beaches as the lighthouse keepers once did. Visitors may want to join a Park Ranger to see into the world of the wild horses of Shackleford Banks. There are even beach cabins to rent. 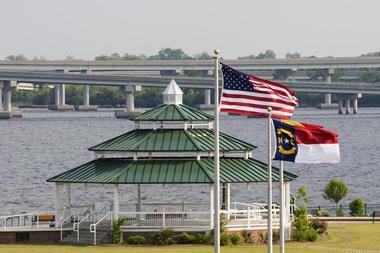 The city of New Bern waits to welcome visitors to Craven County, North Carolina. Those who seek the sun and history will find a refreshing respite here. Two rivers meet in New Bern, where guests will find Tryon Palace, homes laden with history, stunning gardens, shops, outstanding restaurants, and entertainment. Just south, visitors will enjoy the 157,000-acre Croatan National Forest, known for its trails and numerous outdoor opportunities. 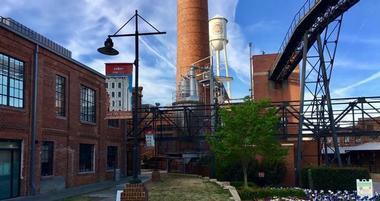 Among the best reasons to visit New Bern are The North Carolina History Center and the downtown area, which is the birthplace of Pepsi. 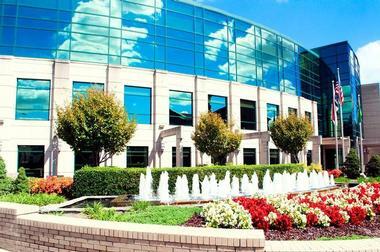 High Point offers a variety of outstanding activities for every type of visitor. Experience everything from outdoor excitement and scenic trails to seeing sculptures and art galleries. The High Point Museum is where guests can see first-hand the individual stories of those who worked, lived, and worshiped in this area of North Carolina. Known widely for its haunted “appeal,” Kersey Valley Attractions also hosts outdoor laser tag, a zipline tour, and Kersey Valley High Ropes throughout the year. Individual ticket prices vary depending on the attraction, and reservations are required for laser tag, High Ropes, and the zipline. Since it was created as a 1930s Civilian Conservation Corps project, Hanging Rock State Park offers hikers and campers a terrific outdoor experience. It is complete with a 73-site campground, a lake for swimming and canoe rentals, grounds for picnicking, plus more than 20 miles of hiking trails. 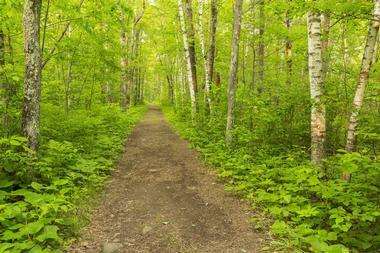 These trails wind their way to spectacular views and weave alongside waterfalls and streams. Paddle on the Dan River or bike 8.4 miles of mountain trails. With a permit, rock climbing opportunities abound. Vacation cabins are available for long visits, and there are free interpretive programs that complement the educational offerings of a park museum, which explores the cultural and natural history of the Sauratown Mountains. 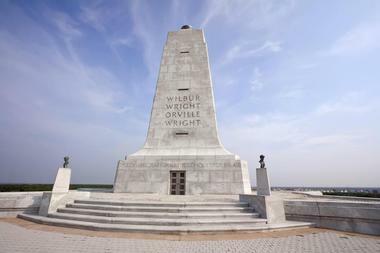 Kitty Hawk offers a choice of unique vacation activities. Visitors will find hiking trails throughout town, and Kitty Hawk Woods are big for biking. There are paddling trails which are perfect for kayaking, an immensely popular activity here. Experienced surfers will want to head out to the ocean to catch some great waves, and those looking to take lessons can do so at Kitty Hawk Kayak and Surf School. The town is some 20 miles away from the Currituck Beach Lighthouse and the Bodie Island Lighthouse is about 25 miles away. 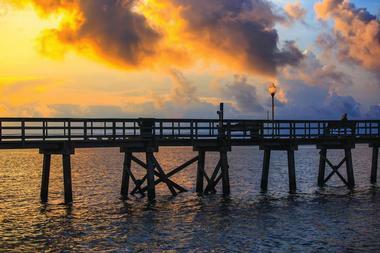 Fishermen may find themselves at the oceanfront beaches or Kitty Hawk Pier for surf fishing. Kitty Hawk swimming beaches are outstanding. 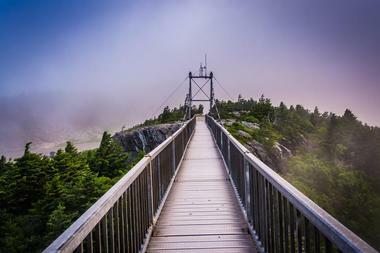 Grandfather Mountain inspires awe through natural wonders. Visitors may see an owl one day and rare wildflowers in bloom the next. 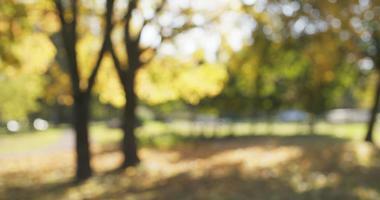 Naturalists are available to guide visitors on their journeys. One of the mountain’s highlights is the Mile High Swinging Bridge, from which visitors can have 360-degree panoramic views. It is America’s highest suspension footbridge. Another highlight is The Grandfather Mountain Nature Museum – home to exhibits about the Grandfather Mountain region. There is a display of North Carolina minerals and gems and the birds of North Carolina, plus early explorers of the area – including Daniel Boone. A highlight of any visit to Southport is The North Carolina Maritime Museum, with its focus on the maritime heritage of the area. It contains a fascinating and detailed collection that covers piracy, shipwrecks, the Civil War, hurricanes, commercial fishing, and other events that have left their mark on the coast. While there is plenty of time for relaxing in downtown, with its ample supply of porches, other visitors prefer a sojourn at the Southport Waterfront Park. Downtown is also host to the Historic Riverwalk, which introduces newcomers to the waterfront milieu. 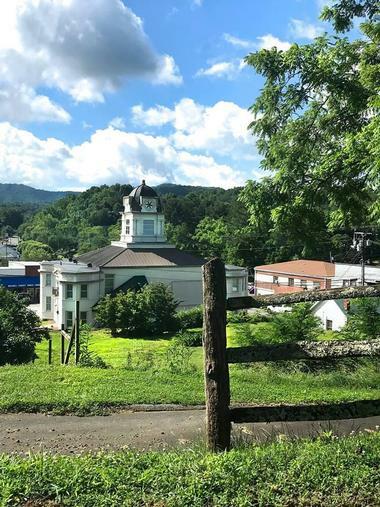 Bakersville is a charming small Appalachian mountain town in Mitchell County, North Carolina, located approximately one hour from the cities of Asheville and Johnson City. The town, which was originally incorporated in 1870, serves as a popular gateway to the nearby Appalachian Trail and the Blue Ridge Parkway, with excellent fishing and watersport opportunities offered due to the town's designation as a Mountain Heritage Trout City. Though the town is home to a population of less than 500, it is known as a world-class art community, with top regional galleries showcasing the works of hundreds of local artists. Other attractions include the beautiful Rhododendron Gardens and the picturesque heights of nearby Roan Mountain. The state’s foothills and mountains are so rich in history and culture that they have been designated a National Heritage Area. The Blue Ridge Heritage Trail offers travelers keen insight into the natural and cultural heritage sites throughout the Blue Ridge National Heritage Area. The Trail consists of certain places throughout where photographs and words on interpretive signs at each site tell a story. Some of the topics covered are the Cherokee, agriculture, traditional music, and crafts. Signs are posted at walkways to cultural, historic, and scenic sites, towns, cities and attractions as well as in state parks, the Great Smoky Mountains National Park, along the Blue Ridge Parkway, and at the state’s five Welcome Centers within the Blue Ridge National Heritage Area. Near the hamlet of Linville Falls is the dramatic Linville Gorge – one of the most stunning vistas in the eastern part of the country. 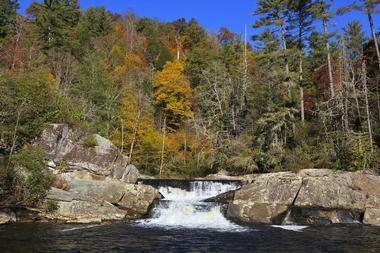 Linville Gorge encloses the Linville River for 12 miles. The Blue Ridge Parkway is a great way to get to Linville Falls, which can be seen from overlooks on two trails from the Linville Falls Visitors Center. The entire Wilderness Area is quite a draw for rock climbers, backpackers, and hikers. 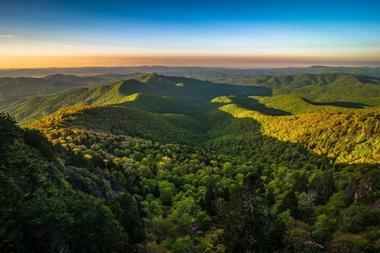 Linville Gorge is home to bear, deer, raccoon, ruffled grouse, and turkeys. Fishing and hunting are allowed with permits. The Cherohala Skyway winds its way through 5,400-foot mountains in North Carolina for 18 miles and descends another 23 miles into Tennessee. The road crosses through the Nantahala and Cherokee National Forests, creating its namesake. It begins at Santeetlah Gap on the North Carolina side and then the road climbs to Santeetlah, which is an overlook at the highest elevation. Travelers follow the mountain tops along this highest section for another several miles, taking them to the state line of Tennessee. The Skyway is well known for its gorgeous mountain views, overlooks, and hiking trails. The Skyway has been featured as a “Top 10 Motorcycle Ride in North America” on the Discovery Channel. Wake Forest is a charming small town in North Carolina’s Franklin and Wake counties, not far from the state capital, Raleigh. The lovely historic downtown is a delight to explore with its shops and restaurants as well as the famous Sugar Magnolia Café or the very popular Shorty’s Famous Hot Dogs, which has been around since 1916. The Wake Forest Historical Museum is a great source of information about the city’s past. Learn about what grows in the area at the Wake Forest Farmers Market, stretch your legs at Factory Skateboard Park on skates, on the football field, or on a go-cart track. Check out what local artists are doing at the Art After Hours gallery or enjoy some fresh air on the lake at the Falls Lake Recreation Area. So much of the state’s most stunning mountain scenery can be found at Chimney Rock State Park. 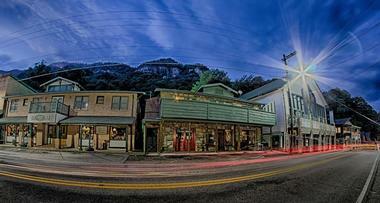 For starters, its 315-foot spire overlooking Lake Lure and Hickory Nut Gorge offers dramatic views. There is admission to be paid at the main access to Chimney Rock, although it is admission-free at Rumbling Bald, plus it has one of the park’s six trails. At Chimney Rock Access, there is ample opportunity for hiking and picnicking. Trail difficulty ranges from easy-going nature explorations to moderately strenuous treks to the summit of Chimney Rock Mountain, for example. Gift shops and concessions are available, and a must-see for trout fishermen exists at Rocky Broad River.